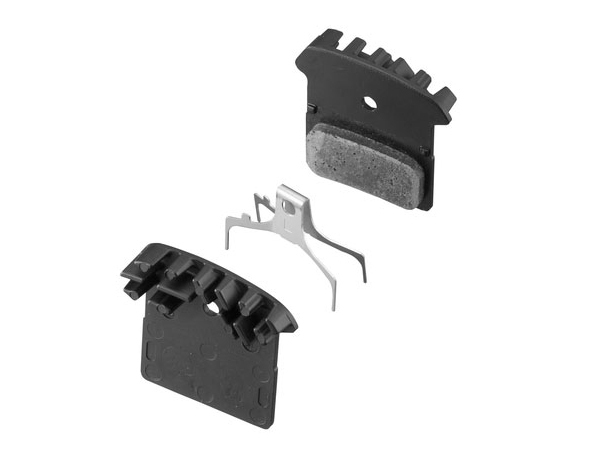 Shimano F03C Metallic Disc Brake Pads fits XTR BR-M985, XT BR-M785, SLX BR-M675/666, BR-R785 & Alfine BR-S700 calipers. Sintered Metal pad with consistent, high stopping power in wet of dry conditions and excellent durability. Aluminum radiator cooling fins increase pad life and reduce brake fade. Sold in pairs.